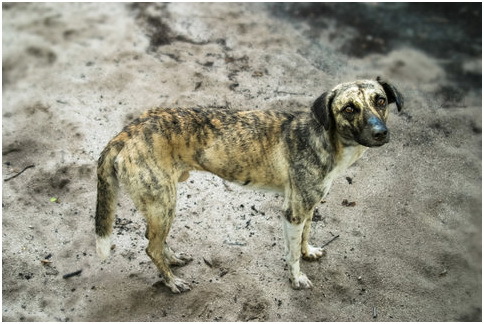 Stray dogs in the Diplomatic Enclave were vaccinated against rabies in May 2018. Wives of diplomats paid for the campaign and also made sure all dogs are administered the vaccines. It is sad as it is the responsibility of the citizens of Pakistan to look after the plight of all animals in the country which is not being done and instead undertaken by foreigners who are here for a short time. Speaking to media persons, Marietjie Nicholson, a South African national said: “I have adopted two dogs and call them Margalla breed. We need more funds to vaccinate dogs. Luckily, the Australian defence attaché contributed funds with which we could vaccinate all the dogs in the Diplomatic Enclave. Dogs should be sterilised to ensure they do not reproduce instead of poisoning them,” she said. “Dogs are territorial and will not allow other dogs to come to their area. Therefore, all the dogs in the Diplomatic Enclave are safe and have been vaccinated. People feed them due to which all the dogs here are healthy. People should know that dogs bite due to self-protection, as people beat and throw stones at stray dogs,” she said. Ms Nicholson said she is considering extending the campaign to other parts of the capital as well. “Once a dog is vaccinated, it will be rabies-free for the rest of its life,” she said. Rabies is a deadly virus spread to people via the saliva of infected animals and is usually transmitted through a bite. 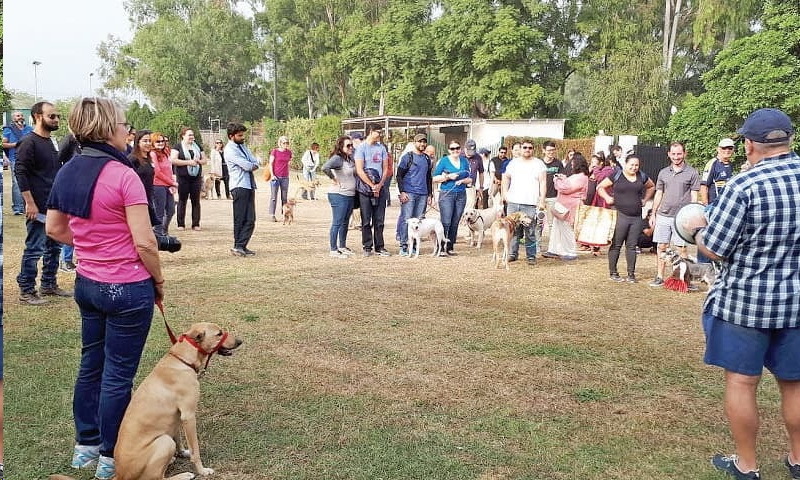 Linda Purke, an Australian who has been living in Pakistan for the last three years said there was a lack of awareness in people about stray dogs and also urged people not to poison dogs. Poisoning dogs makes death painful for the animals and also affects the environment. Poisoned dogs will try to get to water as they get very thirsty and will sometimes die in the water, affecting marine life as well. Veterinary doctor Sajid Hussain said many foreigners are cooperating in the campaign and are providing funds for the cause. He said a Facebook page titled Islamabad PAWS has been made and a website will also soon be launched. I witnessed an usual scene today in Islamabad. I saw that there were gunmen shooting stray dogs in G-8 markaz, Islamabad, which is a busy public place. I immediately rushed to them asked as under who’s direction this action is being done. The gunmen informed me that they have direction from the office of Sardar Khan Zimri, Director Sanitation. I urge the environment lovers to please condemn this ruthless and cruel act against animals. Hope some conscious group member may take up the matter at appropriate forum/ office. I am forwarding this message to I. G ( Forest), MOCC for taking cognizence.